749,000 businesses are set to make the switch to Single Touch Payroll from 1 July 2019. The Australian Government has officially passed legislation that expands Single Touch Payroll to all employers starting 1 July 2019. According to the ATO, this means an additional 749,000 Australian employers including micro-businesses (1- 4 employees) will be required to electronically lodge their payroll reporting to the ATO every pay run by the new financial year. With just under 5 months to go to the STP deadline, we’ve outlined the key information to help get you ready! Single Touch Payroll changes the way business owners are required to report payroll information to the ATO. Under STP, employers must report salary, wages, PAYG withholding and super information electronically to the ATO directly from their payroll software every time they pay their employees. By reporting through STP, this information is passed to the ATO throughout the year eliminating the need to provide payment summaries to your employees at the end of the financial year – saving you valuable time during this busy period! Single Touch Payroll has been mandatory for businesses with more than 20 employees since 1 July 2018. 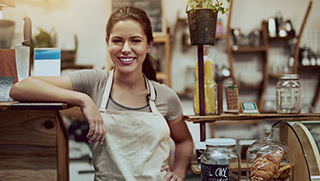 On 12 February, 2019 the Australian Government officially passed legislation that expands Single Touch Payroll to smaller businesses with 1-19 employees from 1 July 2019. This will add an estimated 749,000 businesses to the 50,000 or so that have already made the switch to the Single Touch Payroll reporting method. Employers in the 1-19 employee’s category have also had the option to voluntarily switch to STP reporting anytime from 1 July 2018 to take advantage of the benefits of streamlined reporting. Reckon is developing a stand-alone Micro STP solution at a price point significantly less than the $10/month required. We’re in the early stages of this product announcement, so please refer to the website for updates. Why is Single Touch Payroll being introduced? Single Touch Payroll legislation is a key part of this strategy enabling a simpler, flexible way of interacting digitally with the ATO to manage tax & compliance, streamline financial reporting and drive efficiencies by combining the payroll reporting with the pay run process. For employers this will mean they will no longer need to report their payroll in bulk at the end of the financial year and employees can monitor their tax and superannuation balances through their myGov account. We recommend you act now to review your current payroll processes to see if they can be updated. Develop an implementation plan as soon as possible to give you time to adjust to the new method of reporting. If you use spreadsheets, ATO paper submission, or even shoeboxes of paperwork to process your payroll you won’t be ready. You’ll need to obtain STP compliant payroll software or ask your tax professional how to get ready. If you already use software talk to your provider to find out when your software will be ready. For desktop software, you may need to upgrade to the latest version. For online software you can make the switch as soon as your software is STP-enabled. 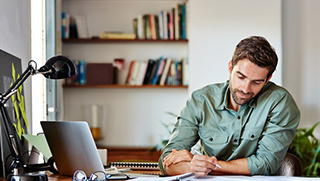 Accounting isn’t typically a core competency of most small business owners and for many employers this new STP legislation may be the first step to making the shift to digital processes. STP-enabled accounting software can give small business a real-time understanding of their cash flow and overall financial position – all with minimal cost and setup requirements. Our advice is to embrace this change as a catalyst for understanding how online solutions can drive efficiencies and reduce your overall compliance costs. Reckon One online accounting software helps you process payroll for unlimited employees.